Brooklyn-born singer-songwriter takes victory lap with covers collection. No, it’s not a singer-songwriter retelling of the most recent Pixar franchise, thank your lucky stars for that. Instead, it’s Delmhorst’s salute to a band that helped pass the Brooklyn native’s 13th year. 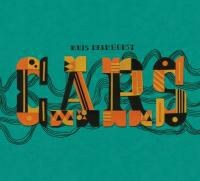 Similar to nods label mates Jeffrey Foucault and Eilen Jewell have given to their musical heroes (John Prine and Loretta Lynn, respectively) in recent years, Cars has the potential to bring a brilliant young songwriter to a wider audience via a covers album. Delmhorst has something of an unenviable task in tackling such a left-field project. Whereas Foucault was capable of adding new vigor and gravity to Prine’s tunes and Jewell was a no-brainer for the Lynn project, the boys from Boston created albums that were multi-layered, warmly frigid, and featured vocals from Ric Ocasek, a man who made David Byrne’s Asperger-like singing seem positively flexible and brimming with emotion. So, adding steel and baritone guitar -- some of it courtesy of the ever-capable Mark Erelli -- along with fiddle, Wurlitzer, mandolin, and topping it off with the occasional Casio DG-10 is a daring move and one that, in the end, works (Cars member Greg Hawkes lends ukulele). Delmhorst sounds genuinely affable, appropriately adolescent in her enthusiasm during “Shake It Up”, “Magic”, and “My Best Friend’s Girl” and, for a moment, that’s the album’s weakest point. Imagine, say, The JB’s working out funk versions of Devo tunes or James Taylor brightening up the corners of a Townes Van Zandt number or two. Jarring? Just a bit. But repeated listens reveal that Delmhorst can pull it off because, quite frankly, you aren’t really expecting her to make these songs sound so… well, warm. In fact her take on the band’s final Top 10 hit, “Tonight She Comes”, sounds frighteningly in tune with the original, to the point that one might imagine the Delmhorst reading charting somewhere in the fall of ’85 or early in the winter of ’86. Her take on “Drive” is less convincing -- it’s not nearly chilly enough and she strives for the same dead thud drumming that propelled the original, which just doesn’t jive with the rest somehow. Her “Just What I Needed”, though, is a revelation and makes you wonder why someone else didn’t try recasting it earlier. The hallmark of any good covers collection, though, is that it has to have at least one deep cut and the appearance of “Getting Through” and “You Wear Those Eyes” (both from 1980’s Panorama) and “Why Can’t I Have You” (from 1984’s Heartbeat City) sweetens the deal for Cars enthusiasts and allows Delmhorst to escape from the inevitable comparisons that those familiar only with the hits will make. This is a victory and a hard-earned one at that. Ideally this will introduce Delmhorst to a wider audience but an audience that will take the time to mine the treasures of her past catalog including the fine Shotgun Singer (2008) and Strange Conversation (2006). No matter, her recollection of the summer of 1984 may very well become another 13-year-old’s recollection of the summer of 2011 and if we’re lucky maybe that 13-year-old will some day be making records as interesting and promising as Delmhorst.